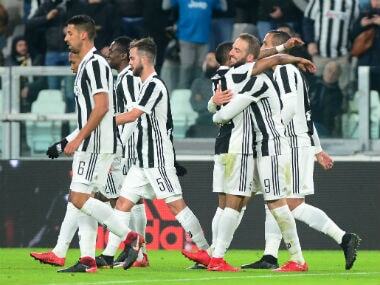 Turin: Brazilian Douglas Costa scored the only goal as champions Juventus kept in hot pursuit of leaders Napoli with a 1-0 win against Genoa on Monday. 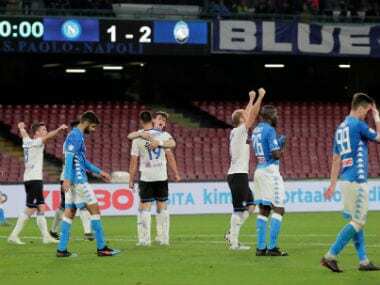 Napoli stayed top after the first game following the winter break when Dries Mertens ended a long goal drought in a 1-0 victory at Atalanta on Sunday. Maurizio Sarri's side have 54 points after 21 games to stay one point ahead of Juventus. "It was important to win to stay in Napoli's slipstream," said Juventus coach Massimiliano Allegri. "It's a challenge, winning a seventh Scudetto would be extraordinary, beyond legendary, so we have to do well and wait for the right moment. "The lads worked really hard during the week, and that made it difficult tonight. At the same time, we didn't give Genoa anything." Poland's Wojciech Szczesny continued in place of the injured Gianluigi Buffon in goal for the Turin giants, with Costa starting ahead of Federico Bernardeschi up front. 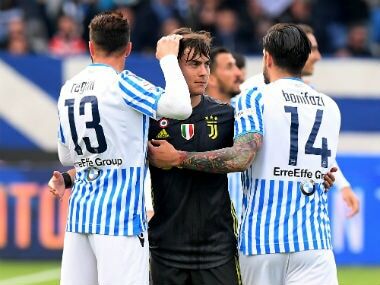 Miralem Panic missed an early chance from a free-kick awarded after six minutes when Gonzalo Higuain was fouled on the edge of the box, but Mattia Perin cleared. 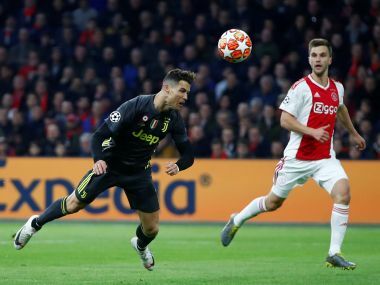 But Costa broke through after 16 minutes in the Allianz Stadium and exchanged passes with Mario Mandzukic before slotting the ball past Perin. 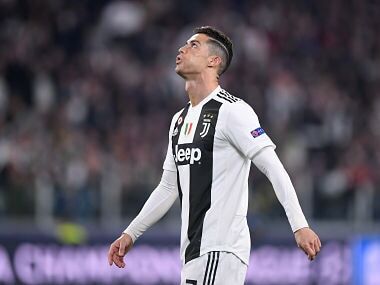 Although Genoa had struggled for possession before the break the champions were less threatening in the second half against a side that are 15th in the league. "I think it's a very important goal," said Costa. "It was a difficult second half but it was important that the team did not concede a goal and brought the game home. "We must think only of ourselves and move forward without looking at others," he said. Lazio moved third, 11 points behind Napoli, thanks to a thumping 5-1 win over Chievo in Rome on Sunday, equal on points but ahead of Inter Milan on goal difference. Luciano Spalletti's Inter fell further behind after a scrappy 1-1 home draw with Champions League-chasing Roma, who are three points behind in fifth. Inter are winless in six games in the league and no longer look like title contenders, while Roma, who stay fifth on 40 points, have fallen even further behind after picking up just ten points from a possible 24 since beating Lazio in mid-November.